The Islamic State executioner Mohammed Emwazi fled Britain hidden in the back of a truck on a Channel ferry, sources revealed. 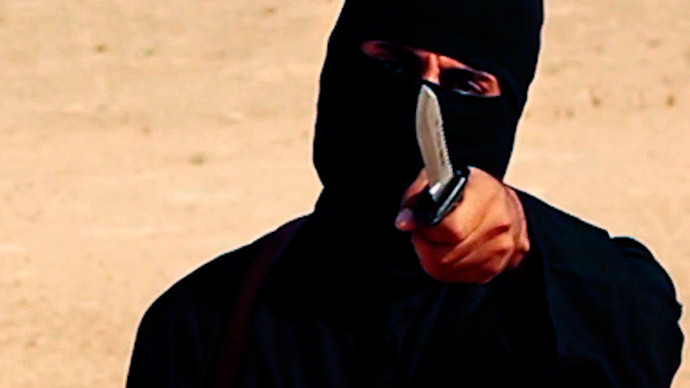 Jihadi John, who has been identified as Kuwait-born Londoner Mohammed Emwazi, 26, was able to cross Europe without being checked until he reached the Turkish border, due to the Schengen Agreement. He then entered Syria from Turkey. Sources told the Times Emwazi slipped out of the country in early 2013, after he was barred from traveling to Kuwait in 2013. He surfaced in Syria four months later. Emwazi feared he was on a watch list and therefore sought help from associates who smuggled him out of the UK through a Channel port, according to the Times. Emwazi had been on MI5’s radar for years. He first came to the authorities’ attention in 2009, after it was revealed he had been in contact with one of the men convicted of involvement in the failed bomb attacks on London’s transit system on July 21, 2005 (two weeks after the catastrophic attacks on July 7). He was put under surveillance. But after two and a half years passed, with no evidence, Emwazi was re-classified as a “low-level subject of interest,” the Times reports. MI5 is said to have approached him repeatedly, because he belonged to the ‘London Boys’ terror cell. They tried to glean information from him and turn him into an informant. The revelation that he managed to sneak out of the country, despite having been known to British security agents, will raise concerns about the monitoring of terror suspects. It is reportedly unclear whether he was on a no-fly list when he absconded, which would have prevented him from leaving the UK. News has also emerged suggesting Emwazi’s father, Jasim, had told his son to change his name in order to travel back to Kuwait, but the scheme didn’t work out, according to sources. Lawyers for his family say there is no proof ‘Jihadi John’ is Emwazi and that his father doubts the claims. Mohammed Emwazi, who has gained notoriety for appearing in a number of Islamic State videos depicting the execution of Western hostages, remains at large and is believed to be in Iraq or Syria.